First for new players. You need to know how to make a team for the save disk. OPTIONAL: If you want to use a specific setup for your team everytime you play this is possible! (so that it is ready when you load the team). Just create an additional screenshot with your setup in-game. 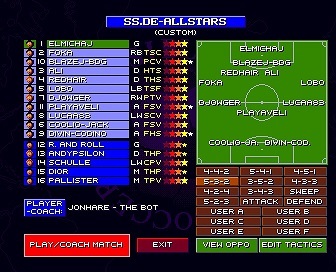 Above is an example made with Playaveli's team. Upload your screenshots to your post and REMEMBER to write which imported team you used for your editing. That is it! If you play ASL, you have the possibility of playing with a custom tactic. If you want your tactic uploaded to the Save Disk, upload it as a attachment to your post. 2. 24 SLOTS FOR ASL Players' Custom Teams! 96/97 database mandatory! 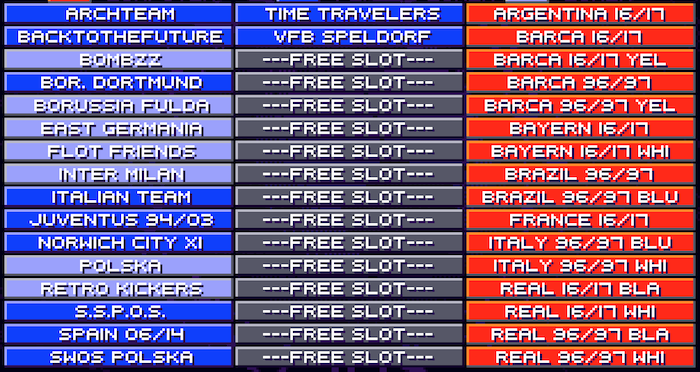 Please delete my old team "All-Time Barca" and add new team "Barcelona 18/19" based on Brazil 96/97, thanks! Hi! Please add my team with a custom squad setting as seen on screenshot. Thanks! @all: I am sorry but I will not be able to do any team update anymore. Currently I have no time for that. maybe next year I will have more time again. @playa: thx for doing the last updates! No changes to hair/skin colors? Also, no changes to starting line-up? Based on Bayern Munich. I also am adding my own tactic. 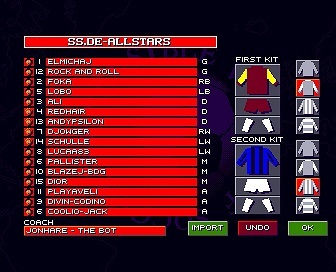 I only changed the team name, coach name, and kits. Didn't do your team, it's from 16/17. 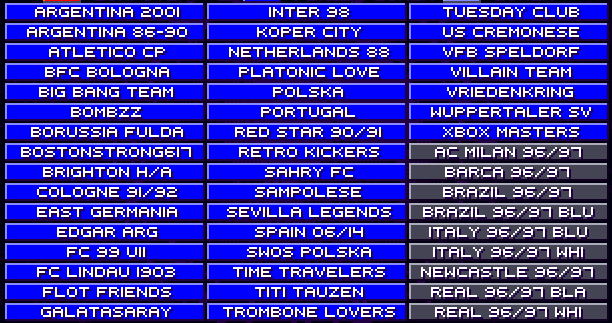 Please use original 96/97 team for edited customs! Is this ok ? Based on Brazil from 96-97, only changed the team name and the coach name.